11. What they say vs what they do. 22. How they handle power. 33. How they react to criticism. 66. The language they use. 77. How they react when they’ve been wronged. 88. How they spend their time and money. 99. How they react when someone says no. 1010. The gut feeling they give you. We all have our own impressions of other people, but how do you know if they’re correct? It’s not fun being unpleasantly surprised by someone. Luckily, there are several revealing traits you can watch for to determine if you want to maintain a relationship with someone – some of which you should always be aware of within yourself. Have you ever heard that actions speak louder than words? However painful the truth might be, people will always reveal their true nature – as long as you focus on what they do, not what they say. People explain away their faults, but their continued actions eventually reveal their true character. So pay attention. Conversely, how you interpret others’ actions says a lot about you too, since you compare it to what you would do in that situation. Make an effort to put yourself into the other person’s shoes when evaluating how he/she acts. The answer might surprise you. How does this person treat people who are in some way ‘beneath’ them? Watch this person’s interactions with customer service representatives, animals or children to gain insight into their character. It’s especially helpful to learn how they treat people who can do nothing for them. Do they perform selfless acts? Are they rude to waiters? Looking at how someone treats people they don’t need the feel to impress can reveal that person’s true colors. When you criticize this person, how do they react? Do they lash out at you, giving excuses for their actions? Or o they take your criticism calmly and work on their flaws? Someone who can handle criticism with grace and improve from it is someone you want in your life. Someone who can’t take frank discussion about their flaws might have an ego that’s too big to handle. The company a person keeps and how he/she acts around them is a good indicator of their values. Have they kept the same friends for ages, or is their social circle comprised of more recent acquaintances? Are they the center of the group, or do they hang back on the sidelines? Do they treat their older friends differently than their newer friends? Who they dislike or avoid – and what do those people have in common? Even the best liars leak their true feelings through micro-expressions. So unless your new friend has studied to hide their body language, paying attention to it can give you insight into several factors. How truthful is this person? Do they actually like your business idea, or are they taking advantage of you? Is he/she interested you in a romantic sense? Learn how to read body language, including the signals you’re subconsciously broadcasting to the world, and open yourself up to a whole new world of communication. You can find some resources here. We communicate to the world through language, so it makes sense we’d reveal our personality through it. The problem? Language is also the tool through which people manipulate others. However, social psychologist James W. Pennebaker suggests that people are far less likely to pay attention to their pronouns. So pay attention to how this person talks. Using “we” a lot suggests a deeper social connection, while too many personal pronouns suggests a dash of egocentrism..but also indicates this person may be more honest than most. Of course, you should also pay attention to other aspects of language as well. Do they use big words in effort to impress, or do they keep it simple? Can they hold a proper conversation? Learn more about how language reveals personality here. Hopefully, you won’t wrong this person so early into your relationship. But asking about past experiences in which they feel they were wronged can give you insight into this person’s character. Do they shift all the blame onto the other person, or accept their own role in the matter? Are they still angry about it, or can they talk about it calmly and collectively? Did they react in any extreme manner – with physical violence, perhaps, or by holding their rage in for months before ultimately blowing up?It’s possible you’ll wrong this person someday. Find out now if you don’t want to deal with their reaction. Time and money are anybody’s most valuable possessions, so how he/she spends it reveals a lot about their priorities. Do they spend mostly on recreation, or are they investing in their future? Are they taking any classes? Do they waste time for hours on end – think excessive TV watching or playing video games for three day straight? You don’t have to enjoy the hobbies of everyone you know, nor should you pry into their finances. But sometimes, it’s incredibly obvious with a little observation that you two might have conflicting values. That doesn’t mean you can’t be friends, but knowing what they are will help you navigate the relationship with a little bit more finesse. By accepting it when someone tells you “no,” you are showing that you respect that person enough to accept his/her boundaries. So if someone tells you a story about how they manipulated a person into doing something after initial reluctance, consider yourself warned. Manipulating that person’s decision is a sign of disrespect towards him/her – and it means he/she might disrespect you similarly in the future. Have you been reading this article with someone particular in mind? If you have a bad instinct about a person, a situation, anything… listen! 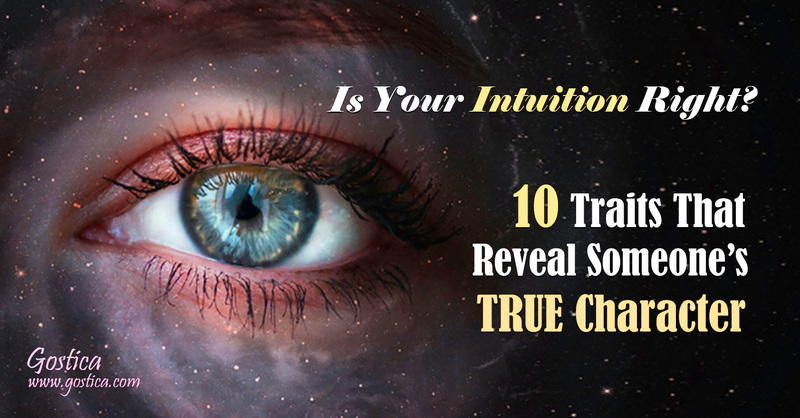 Your intuition is actually your limbic brain responding to subconscious cues your conscious brain hasn’t picked up on yet. If you get a feeling that someone new in your life is bad news, you’re probably right. Don’t be afraid to cut them out.